This course is open enrollment! Enroll and start the course today! *Note – The physical textbook is NOT included within the typical course package. If you would like the physical text you can purchase it at JB Learning Online. Emergency Medical Technicians (EMT) provide out of hospital emergent, nonemergent care, and transport services for patients who access the Emergency Medical Services (EMS) system. EMT’s have the basic knowledge and skills necessary to stabilize and safely transport patients ranging from non-emergency and routine medical transports to life threatening emergencies. 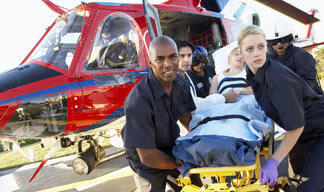 EMT’s function as part of a comprehensive EMS response system under medical oversight. EMT’s perform interventions with the basic equipment typically found on an ambulance. 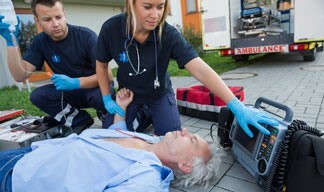 EMT’s are a critical link between the scene of an emergency and the health care delivery system. The primary purpose of this self-directed, interactive distance-learning course is to meet the entry-level job expectations and prepare an individual to challenge the National Registry of EMT’s (NREMT) certification exam. Each student, therefore, must demonstrate attainment of knowledge, attitude and skills in each area taught in the course. Upon successful completion of all aspects of the OEMT program a student will be authorized to take the NREMT psychomotor and cognitive examinations. After successful completion of the NREMT examinations the student will be awarded a NREMT-EMT Certification and can then apply for state licensure. You must pay before you can enroll. To complete enrollment requires proof of payment.